Soccer specific / drills training & soccer coaching for all ages. Demetrios has been active in the field of health and fitness for over two decades and hold a Bachelor of Arts Degree in Exercise Physiology/Sports Medicine from The University of San Francisco, as well as Certifications from the National Academy of Sports Medicine, the American College of Sports Medicine, and USA Weightlifting. A former competitive distance runner and semi-pro soccer player, he has successfully trained clients of all ages and levels of ability. He specializes in full body conditioning & strengthening, integrated flexibility training, core strengthening, rehabilitation therapy, sports specific training & performance training for all sports. Working from the center of the body (stabilization) and continuing outward (movement and force). From professional athletes seeking to hone their core strength and flexibility, to patients facing sports injuries, age-related or degenerative medical conditions, or weight loss concerns, each client achieves optimal results efficiently and safely. 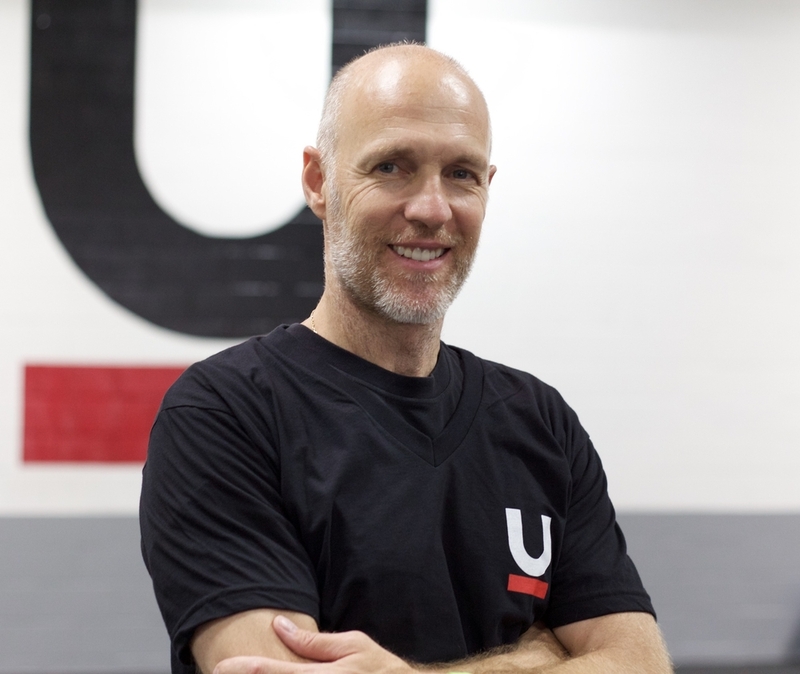 He works with a wide variety of clientele with special health & fitness needs and his straight-forward, no-nonsense approach to training is certain to assist you on the path to your health and fitness goals. "Demetrios is the most effective trainer I have worked with. His knowledge of the human body is simply amazing and makes me pay attention to every instruction during sessions, but also gives me reason to follow my program between sessions." "Demetrios has trained me on many occasions and has always helped me achieve my goals. In the past when I was playing ice hockey he focused on exercises that strengthened muscles to improve my skating and had a significant impact on my game. More recently he focused on overall fitness and I have been pleased with his commitment to his clients and vast knowledge in cardio, core strengthening, and weight training. Highly Recommended!!! If you want results, call Demetrios!" "I've trained with Demetrios for more than 10 years. Over that time he has continued to make workouts interesting and to push me to reach new goals. He has a great understanding of anatomy and exercise physiology and has always tailored my workouts to a very holistic combination of strength, balance, and cardiovascular fitness, allowing me to capitalize on gains and adjust workouts to avoid injury. The level of dedication that Demetrios brings to his career as a trainer really is inspiring, and is one of the reasons why I have continued to work with him. He has a great personality, is both caring and tough, and is thoroughly reliable. I leave our sessions every week feeling both exhausted and refreshed. Really, I couldn't ask for a better trainer, and am happy to give him the highest possible recommendation."